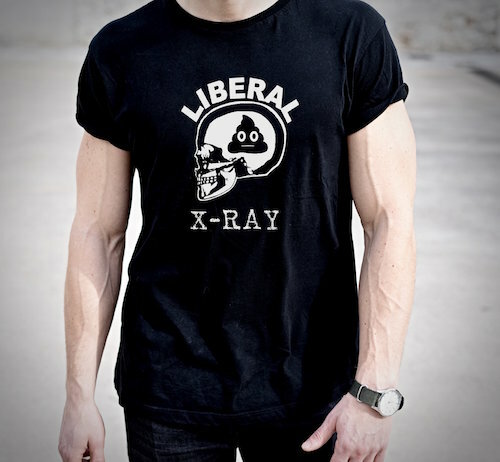 Merry ‘Resistance’? Is this what Hillary meant when she said that she wanted to be a ‘spiritual leader’? The chicks on one website somehow thought THIS would be a good idea. Putting Cankles as a Christmas tree topper is utterly ridiculous. But here it is in all it’s, uh, pantsuited ‘glory’. 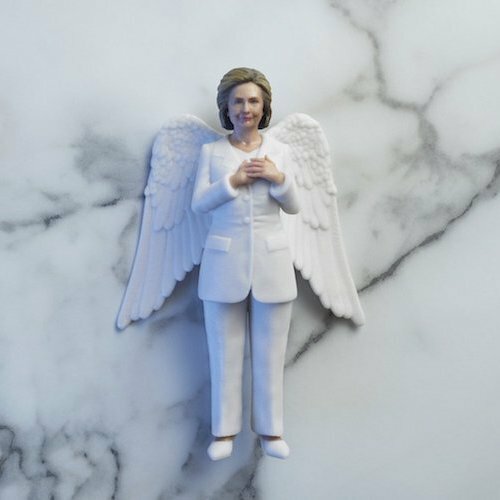 The Left’s ham-handed attempt to turn Hillary into a religious figure. 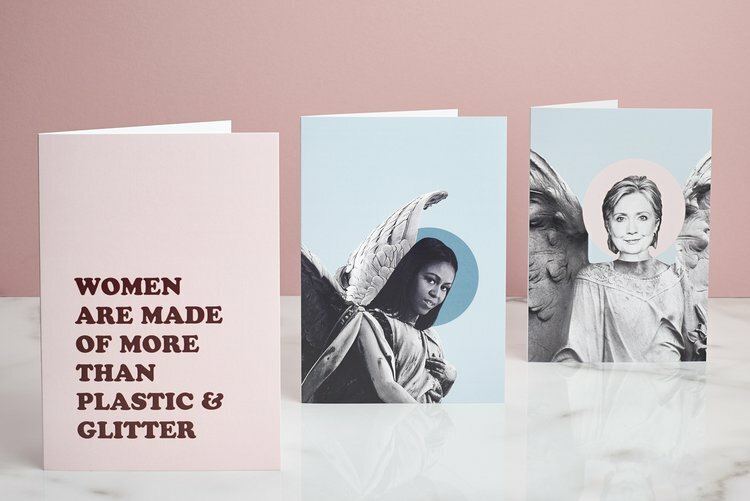 This British company really is selling them for £80 or about $105 U.S.
There’s a word for the impulse to turn horrible people into religious icons. Is it any surprise that the party that once Booed the mention of God at their Convention, and stands 0-for-10 in their support of the Ten Commandments, would pick Hillary as a religious icon? This is, after all, the same party that — DAYS before he was forced to resign in disgrace retire, was calling Conyers ‘an Icon’. That’s inherently religious language, from a party that still has a religious impulse, but a strong dislike for the God it points to. 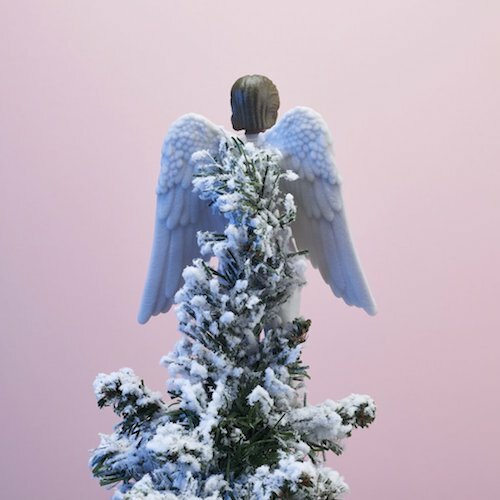 So, in the spirit of the ‘war on Christimas’ their instincts led them to replace the angel on the Christmas tree. With (what else?) a political counterfeit. Attention to detail! It even anticipates her falling, and has little holes drilled into her back to help ‘prop her up’! They want the FORM of the tree, without the religious significance of the Child whose momentous birth it Celebrates. In their own hilarious way, without even meaning to, they are saying about Hillary what the rest of us have been saying for quite some time. 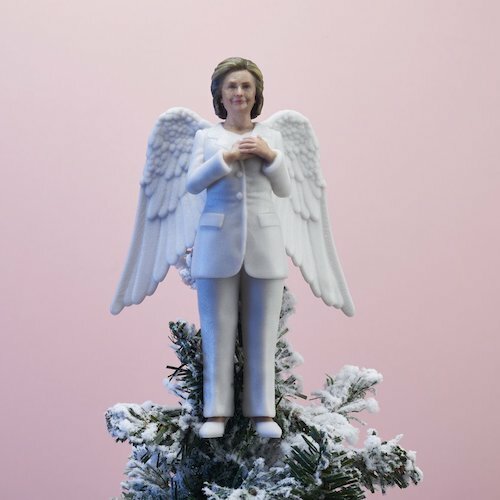 They are calling their precious Hillary an angel. But she’s a counterfeit. In fact — there’s are specific names for an angel that rejects any connection to God. Pick any one you like: Fallen Angel, Demon, Devil, Fiend, Evil One, Tormenting Spirit… the list goes on and on. And what is the Hillary Cult doing? They are placing their hopes in her! See the hashtag ‘therealpotus’? They’re putting the Hillary in Hilarious! Share if you think the whole idea is nuttier than a squirrel turd. Clash Poll: Who’s Really More Like Hitler – Trump Or Obama?